The Sevilleta LTER studies ecosystem transitions and drivers of state change. This view from the Los Pinos Mountains captures transitions from pinon-juniper woodlands to desert grasslands, Sevilleta National Wildlife Refuge. 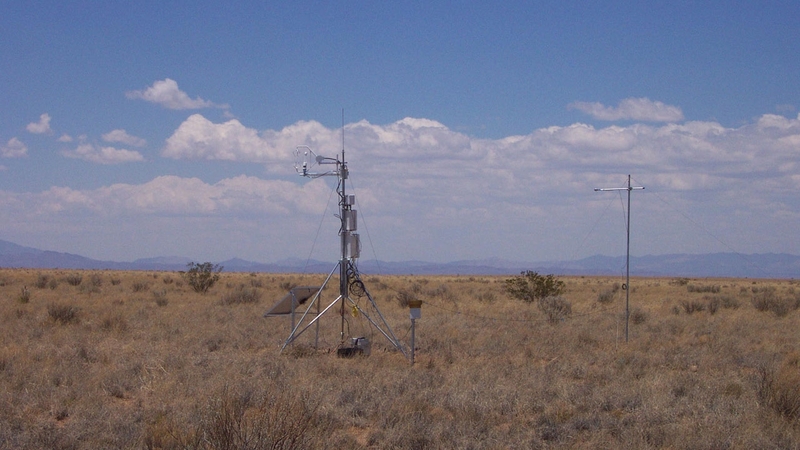 Eddy covariance flux tower measuring carbon dioxide dynamics in a grassland ecosystem at the Sevilleta National Wildlife Refuge. Methods in Environmental Data Acquisition Workshop, lunch at Cibola Canyon, Sevilleta National Wildlife Refuge. 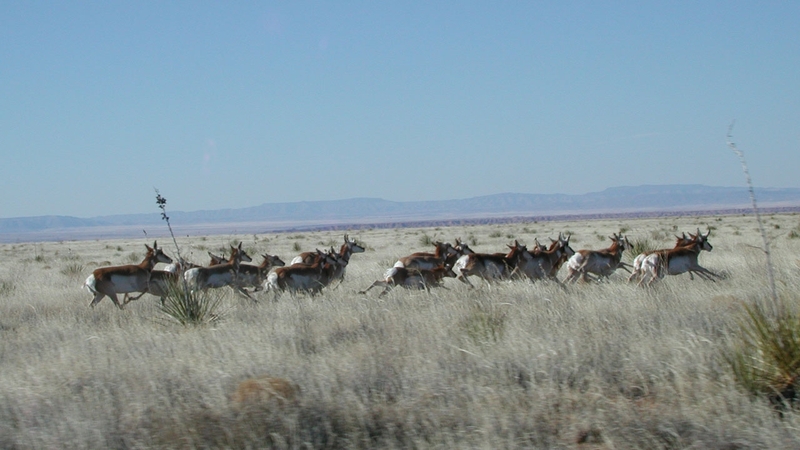 The pronghorn antelope is among the species that live in or pass through the Sevilleta site. Researchers monitoring vegetation in response to soil disturbance of biological soil crusts, Sevilleta National Wildlife Refuge. 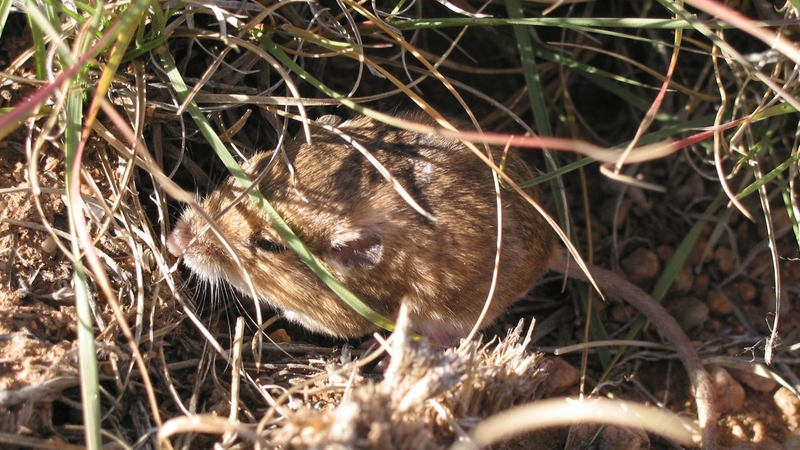 Researchers have been studying the dynamics of small mammals, such as this pocket mouse, since 1989. 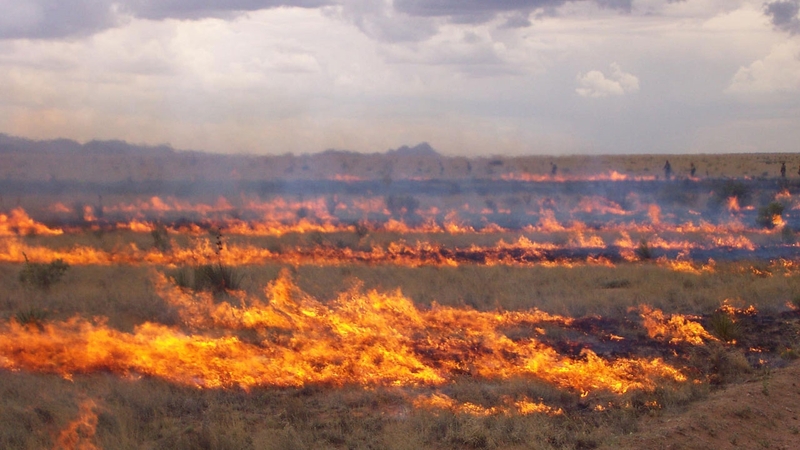 The National Science Foundation (NSF) has awarded a five-year, $6.4 million grant in new support of the Sevilleta Long-Term Ecological Research (LTER) site in central New Mexico with a research focus on environmental changes in dryland ecotones. The Sevilleta LTER site includes five major dryland habitats or ecosystems. Scientists at the site will study how long-term climate trends drive what happens in dryland ecosystems. In particular, how does one type of dryland ecosystem get turned into another type? 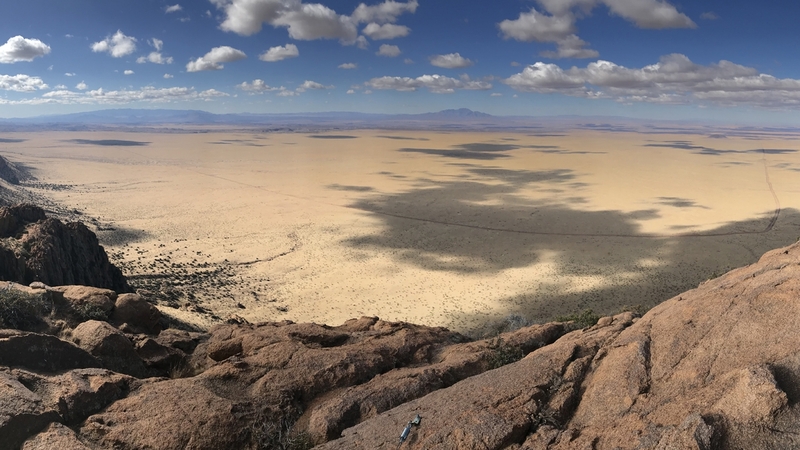 UNM scientists, in collaboration with researchers at Rice University and Northern Arizona University, will lead the research based at the 230,000 acre Sevilleta National Wildlife Refuge in central New Mexico and nearby natural areas. 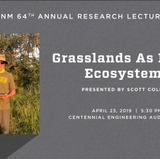 The LTER site will conduct fundamental science of great importance to the state of New Mexico and southwest region including how changes in climate mean and variance independently and interactively affect the dynamics of dryland ecosystems and the transitions between those ecosystems. Arid areas, which already comprise more than 40 percent of land on earth, are expanding in many places. Yearly differences in temperature and patterns of rain and snow greatly affect the ecology and evolution of plants and animals in these drylands. Scientists will develop new theory to predict what happens when, for example, rainfall is extremely low in one year but high in the next year. This research will expand ecological knowledge of those ecosystems. 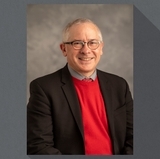 “This LTER project includes the study of processes of vegetation change, consumer dynamics, and carbon and nitrogen cycles that are fundamental to the function of dryland ecosystems,” said Rudgers. “An important goal of the Sevilleta LTER is understanding how and why dryland ecosystems change over time. Our new project focuses on the ecological consequences of two key aspects: rising temperatures and increasingly variable rainfall." Rudgers and her co-PIs including Marcy Litvak and Seth Newsome (UNM) as well as Tom Miller (Rice), and Yiqi Luo (NAU) will also conduct experiments that change patterns of rainfall. They will combine their long-term data with results of these experiments to build models that predict ecological change into the future. This project will allow scientists to improve forecasts for drylands, transforming the understanding of these ecosystems worldwide. Research activities will evaluate the generality of mechanisms that control sensitivities of dryland populations, communities and biome transitions to environmental variability by integrating long-term observations and experiments with theoretical, statistical and simulation models. 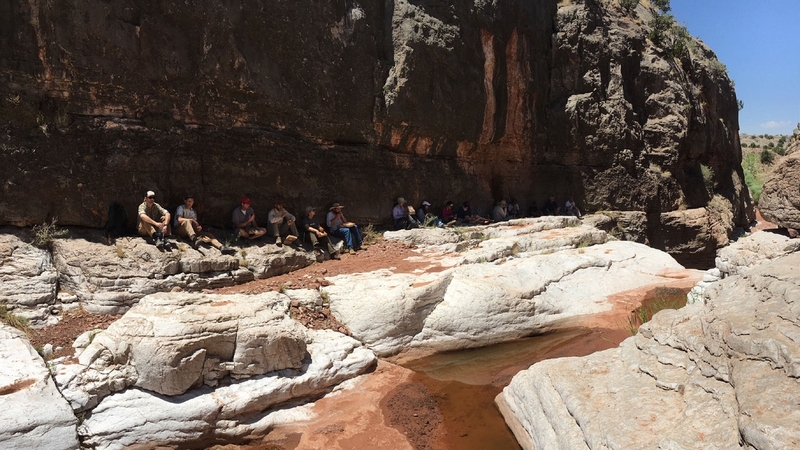 In addition to the fundamental research, the project has exceptional training opportunities, exciting external research collaborations, and a deep commitment to inclusion and outreach, including a partnership with New Mexico's flagship science outreach group, the Bosque Ecosystem Monitoring Program or BEMP. Scientists at the Sevilleta LTER will recruit and train a diverse workforce through activities at all levels of learning. 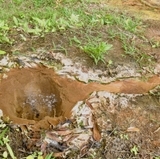 Additional outreach will include schoolyard lessons, undergraduate research programs, and interdisciplinary graduate and professional training, as well as societal impacts of the program including strong collaborations with local, regional, and national land managers. .
For more information, visit Sevilleta Long Term Ecological Research or the NSF's LTER Network.